So it all started one summer day when after watching the Game of Thrones finale, all we could think about was "You-know-what" and all we could search for on the internet was "You-know-what". So what we ended up with are over 50 tabs and various bookmarks and needing google search each time I wanted to read a new article or watch a new video. And then it hit us! 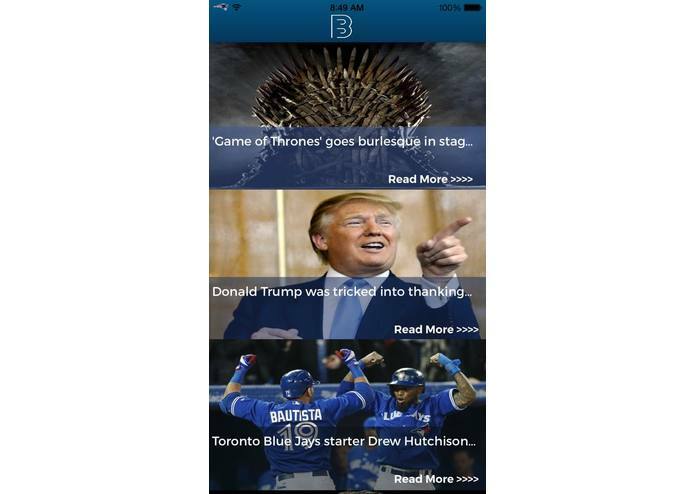 Why don't we use an app that allows you to follow a specific topic like Game of Thrones or New England Patriots or The Avengers for example and get updates on those topics from multiple news websites all in one place. That's the purpose the app aims to fulfill: Allow the user to select the topics they like and get updates based on those topics on your news feed. 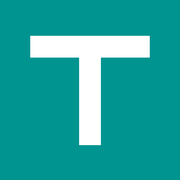 The API used to feed our app is also open, available, and documented for anyone else to use. To make Binge, we create an iOS front-end that receives content from our servers. 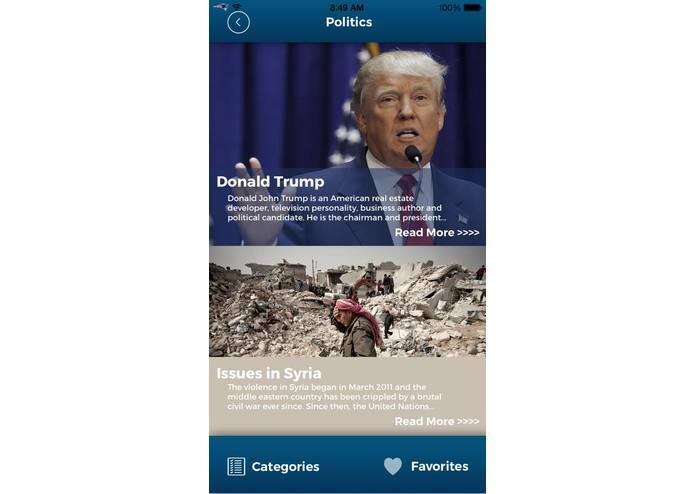 Our iOS app makes it easy to see the news you want by providing topics to show you what you want to see. We use Parse+Facebook to handle our account system so that favorites can be synced across devices. Our back-end consists of a Node server on Microsoft Azure with MongoDB database. The back-end's task includes gathering data from the web and turning it into information that is accessible to the app by REST request. On the front-end, we ran into challenges when trying to implement some UI/UX elements in our mockups. By discussing and iterating our design as a team, we were able to solve these problems. On the back-end, we also found that content for the app was hard to find. After trying many different solutions, we settled on using a series of RSS feeds and post-processing on our servers to prepare the content for the app. Our greatest accomplishments is managing to finish what we intended to do. We were struck with challenges we haven't faced before and having a finished product at the end of 36 hours is something our entire team is very proud of. Additionally, we were able to use many different systems and APIs to their strengths which contributed to a strong system. We learned a lot from making Binge. 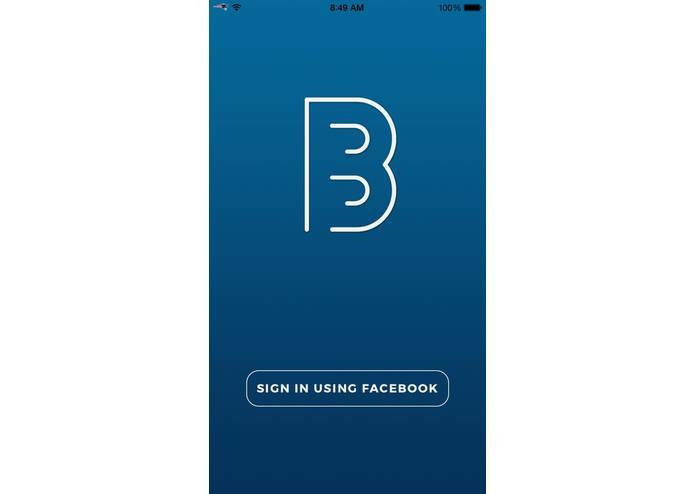 For some team members, it was their first time building and using a back-end system and for others, it was the first time developing for iOS. In the near future, we will release a web-app and Android version of Binge. The time constraints only allowed for us to make one native platform at MHacks but with our content infrastructure in place, creating additional applications will be much easier. We would like to use machine learning to help us improve our system by allowing for any search term to be a topic. We also would like to expand the app's functionality by providing other data feeds such as Reddit and Twitter so that Binge is truly your one stop shop for information on topics that interest you. Made With Love at MHacks 6. Worked on the back-end infrastructure, content gathering, and pre-processing. Worked on developing the iOS application as a full stack developer and made tweaks to the UI.